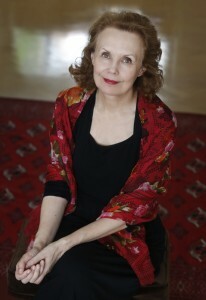 HELIjaKEEL’s Saariaho Festival will feature the music of Finland’s most renowned contemporary composer Kaija Saariaho (residing in Paris) in addition to works by Estonian composers Arvo Pärt, Jüri Reinvere and Helena Tulve. These will be performed by musicians from Estonia and abroad, including soprano and harpist Arianna Savall (Spain) and flautist Camilla Hoitenga (USA). The 2015-2016 season of HELIjaKEEL (SOUNDandLANGUAGE) led by Kammermuusikud, in addition to its usual mandate of juxtaposing music and poetry, focuses more on different musical styles.